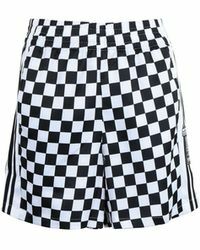 Loud, refreshing and uncompromising 'Adidas Originals shorts easily serve to package some of the most fearless moments of sports fashion history. 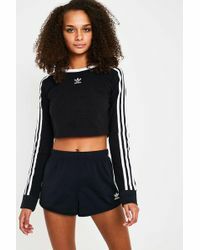 Blending Adidas' street style aesthetic with a bold medley of vintage inflections, this label is a go-to for dynamic, season-defying style. 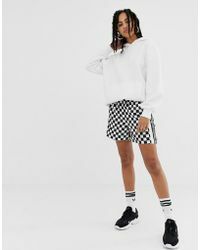 With outlines kept sports-focused and slouchy, watch out for kaleidoscopic graphics and 80s-inspired prints or colourblock playing throughout. 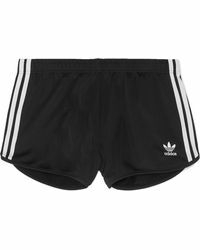 For any fan of this iconic urban brand, Adidas Originals shorts effortlessly blend the lines between sports utility and fearless style. 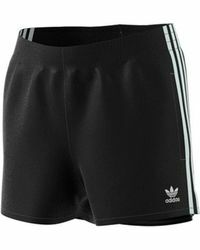 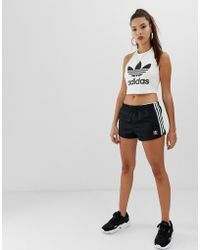 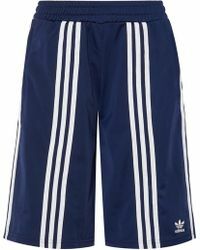 Showing 495 results for "Women's adidas Originals Shorts"